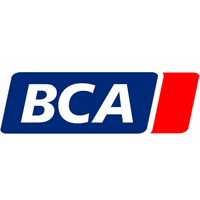 BCA Marketplace PLC (LON:BCA) is the topic of conversation when Zeus Capital’s Head of Research Mike Allen caught up with DirectorsTalk for an exclusive interview. Q1: BCA Marketplace have just provided their interim results for the 6 months ended the 30th September 2018, what are your thoughts on the results? A1: The results were good, they were ahead of our expectations. If you look at the results at a headline level BCA delivered very strong growth, 22% year-on-year revenue growth, 13% growth in adjusted EBITDA and 18.5% growth in adjusted EPS. Those headline figures were between 4 and 6% ahead of our expectations. Q2: What themes did you note in the update? A2: There are a couple of themes, clearly in the core UK business the volume growth of 3% was a good sign, it showed signs of market share gains, given we’ve seen declines from the new and used car market. Revenue per vehicle was a lot stronger than what we forecast so the core UK business did trade ahead of our expectations, EBITDA of 54.5 against our 51.4 which was good news. In the international remarketing business, volume growth was strong at 8%, management initiatives really in terms of cross border purchasing was driving that. Again, strong revenue per vehicle trends were coming through and good margin enhancement as well which was good to see. WeBuyAnyCar, again delivered very strong growth in a controlled manner. We saw volumes up 14% from that division, broadly in line with our expectations but revenue per vehicle was much stronger than what we forecast. The adjusted EBITDA there of 12.4 was marginally in line with our expectations which was good to see. The business that struggled, particularly with WLTP, was the automotive services business. Adjusted EBITDA there was down 22% year-on-year at £8.4 million that compared to our forecast of £11.2 million and we’d expect conditions in that division to remain difficult to their year-end. Q3: So, has this changed your forecasts at all? A3: We’ve not changed our headline forecasts on the back of these results, but we will be doing some tweaking in terms of reducing automotive services but increasing the core UK improvement and also WeBuyAnyCar as well. So, no real change to headline forecasts. Q4: As an investment, what are your overall thoughts on BCA Marketplace? A4: We think this is a unique business and we think there’s scarcity value in this business as well. I think considering the conditions we’ve seen in the car market, to deliver mid-teen growth is impressive. We helped bring this company to market just over 3.5 years ago, we’re comfortable with the original thesis there and we see a lot of different growth avenues that this company can go around because it leverages the critical infrastructure that its got. There’s also a lot of technology in the business which we think will come through and investors will see the benefits of that over the next 12 months. So, for us, the valuation is undemanding in the context of the quality of the business and the dividend as well yield in excess of 4% based on progressive earnings looks highly attractive to us as well.